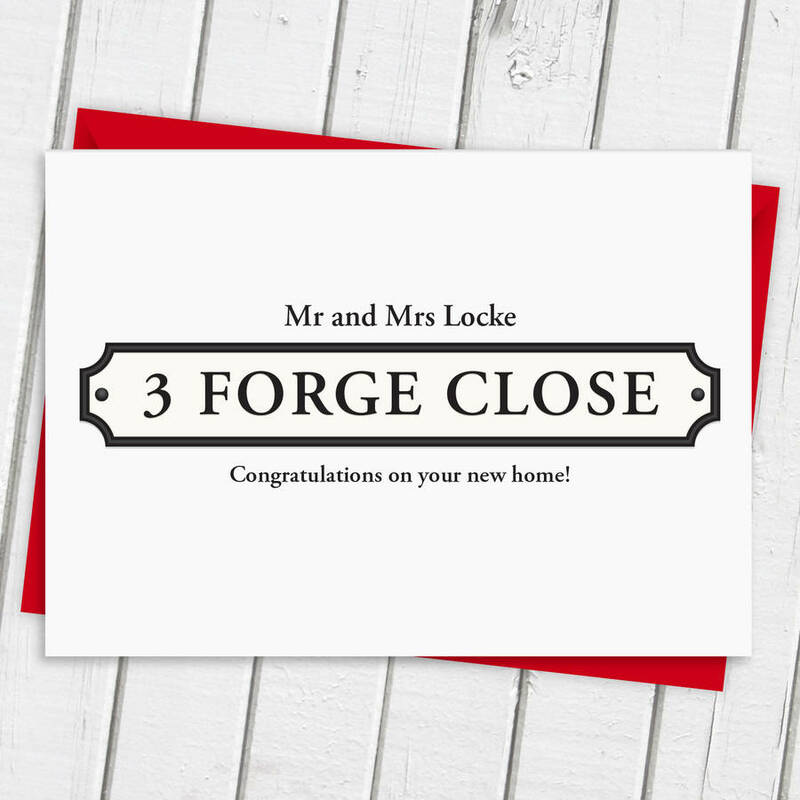 Congratulate friends or family on a new home with this new home card. 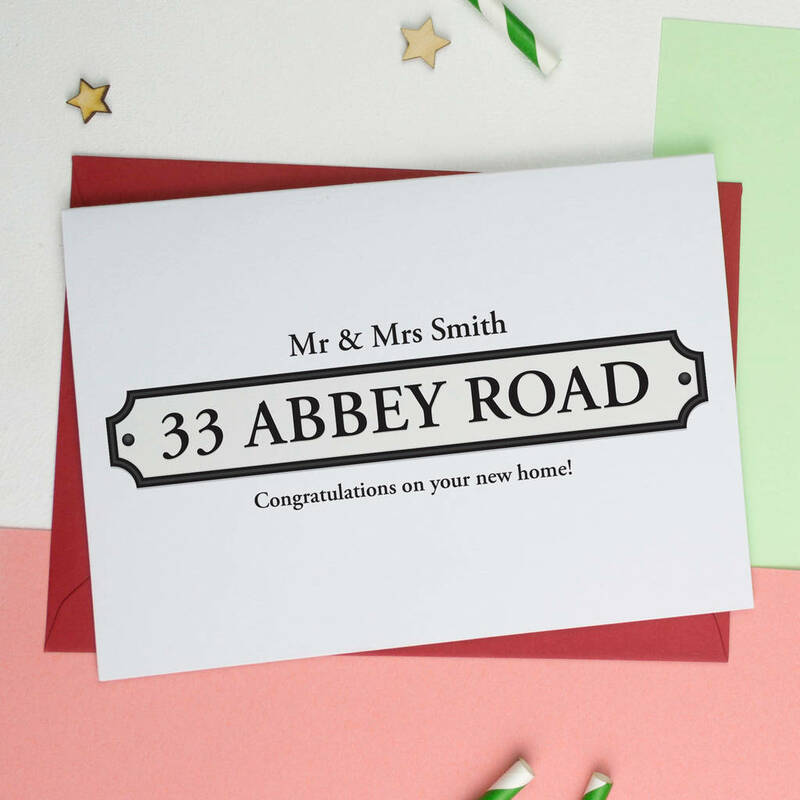 This card is perfect for sending to friends and family to congratulate them on moving in to a new home. Blank inside for your own special message and wrapped with a white envelope. Please note some very slight colour variations may occur during printing. We can send this card directly to the recipient and hand write your message inside - Please see the options to the right for this service. Please let us know the family name and the street name you would like to see on the card. 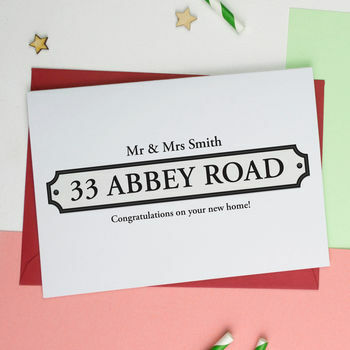 High quality heavyweight greetings card with a beautiful matt finish. Printed on 300gsm recycled white card in England.